Exeter High School Model United Nations 2015-2016 Delegation. Read A Weekend in the Life of a Model U.N. Delegate, a first person narrative written by Talon reporter Shereen Elaidi detailing the weekend’s activities. 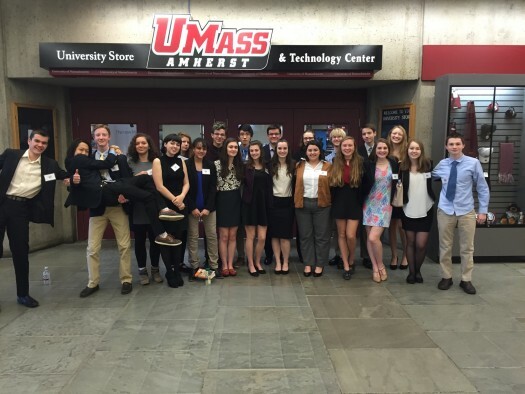 Every year, the Exeter High School Model UN delegation attends UMass’ annual Model United Nations conference. Model United Nations (also called Model U.N. or MUN) is a simulation where students can solve current issues, ranging from the European refugee crisis to water shortages, or re-enact historical events. Each student is assigned a country or significant historical figure to represent on a committee. This year’s focus was on the UN’s Sustainable Development Goals, which Talon reporter RJ previously covered here, and “…range[s] everywhere from issues of poverty and inequality to climate change and biodiversity, and everything in between…” according to the UMass Model UN website. 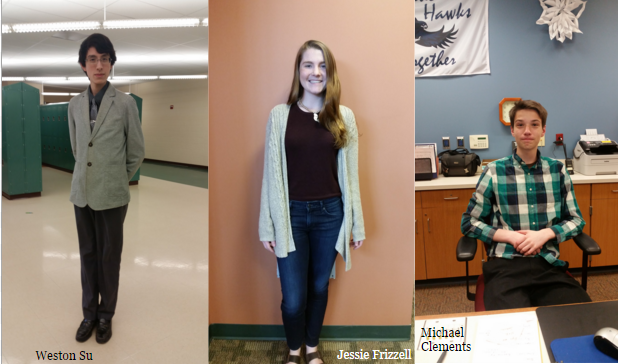 The past weekend, EHS students spent a weekend debating various pressing issues while gaining a deeper understanding of how the world as well as diplomacy works. Committees this year included: a UN Security Council committee focusing on the issue of water shortages, a political decolonization committee, a nuclear disarmament general assembly, the International Criminal Court (ICC) committee, and the International Monetary Fund (IMF) committee. A full list of all committees is available on the UMass Model U.N. website. The Exeter High School delegation took home several awards this weekend. Congratulations to Senior Jessie Frizzell and Junior Michael Clements for winning best delegate on their respective committees and Sophomore Weston Su for winning honorable mention on his committee.